I had a window of opportunity to fish for a few hours today, and thought I might try for some pike. I had a few deadbaits of herrings and a few sprats in the freezer that needed clearing out before the season end and the tench bait fills the void. Although I have about 20 or so pints of frozen reds ready for spring. I arrived in the Red Lion car park to find it full so I had to park on the road. Swiftly walking to the river I soon found it clear and just about right the EA river height reading at Bathford was showing me .94m which is very low for winter. The weather was kind and at 10c and cloud was perfect. I walked the stretch first and found Kevin fishing for barbel. I’ve not seen him since the summer when I allowed his mate to fish a swim that I had baited before and was about to fish. Since he had never caught a barbel before the chances looked good. There were a couple of doubles swimming in a shoal of 8 fish. When I’m guiding I love to see peoples faces when they see these great lumps swimming around and feeding. So he couldn’t believe his luck when asked him to cast in. Before long he was playing a barbel of just over 10lbs, what a way to start your barbel career. So Kevin and I caught up on how things had gone during the winter and what had been out recently. 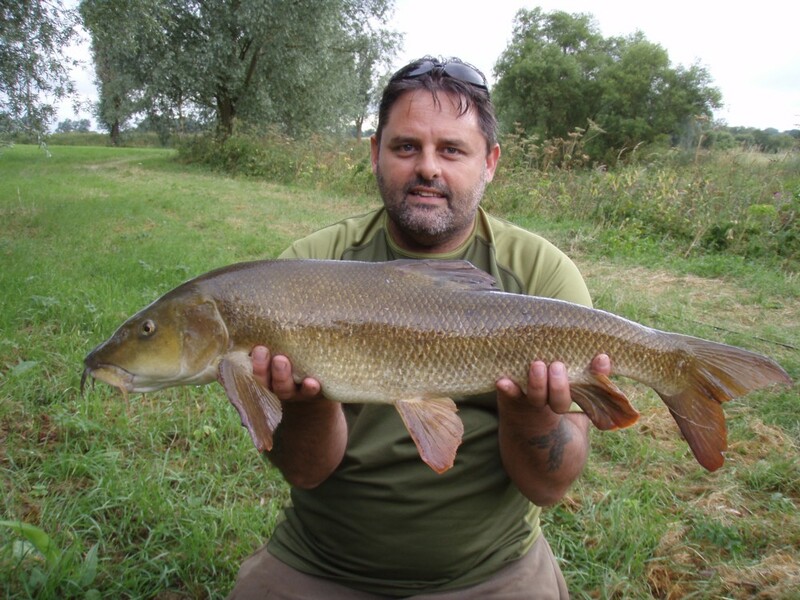 It appeared that the barbel were feeding and that on Saturday a few had been out. He also told me a mate had a pike of just under 20lbs in the autumn which must be over 20lbs now. He even took me to his mate who still had the photo on his camera, a very impressive pike. I wandered further and found another friend Paddy who likewise I hadn’t talked to in ages so more time was spent catching up on news. My misses reckons I spend more time chatting than fishing, she’s not far wrong this session. Paddy was telling me the chub fishing has been great this winter and on one session he had 3 X 5lbers which believe me is good for the B.Avon. I cast around a fair bit into a few swims and on each occasion moved a pike, and on a couple of times shook off some small ones as the bigger dead baits were in short supply. I reckon I could of had 5 small pike very quickly. One spot did get some interest from a low double. He didn’t take the bait but certainly went for it. I thought about coming back later in the afternoon just before darkness to try and fool it. I wandered up and down the bank, it was just great to be out and it felt like spring was just around the corner. Lacock Abbey looked magnificent with plenty of tourists pouring around it. No wonder I couldn’t park in the car park. There was a carpet of snow drops under the trees that signaled that spring was approaching. With just 30 minutes of time left before it got dark, I returned to the swim where the low double went after my bait. I had one last herring. My method of fishing was a simple wobbled bait or sink and draw. First cast and bingo in the clear river the pike came up and turned and took the deadbait to the bottom. I gave the pike some slack line and waited for a few seconds before striking. I wound down the rod and felt the tip nodding away on the tight line, so I struck and the trebles came back at me at a fair rate. 1-0 to the pike. I had caught a few small jacks so it wasn’t a total waste of time and it was great to meet Kevin, Paddy and Nigel on the banks again. This entry was posted on Monday, February 7th, 2011 at 7:45 pm	and is filed under Uncategorized. You can follow any responses to this entry through the RSS 2.0 feed. Both comments and pings are currently closed.